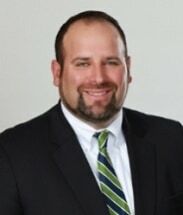 Mr. Sznapstajler joined Cobb Cole after participating in the firm's summer program in 2007 and graduating from Stetson University College of Law in 2008. Mr. Sznapstajler practices in the areas of environmental law, land use and civil litigation. As part of his environmental practice, Mr. Sznapstajler represents businesses and redevelopers with environmental due diligence, assessment and cleanup of contaminated properties, redevelopment of properties through state and federal brownfield programs, submerged lands permitting, and wetland and species issues. As part of his land use practice, Mr. Sznapstajler focuses on obtaining entitlements and approvals for development of property. As part of his litigation practice, Mr. Sznapstajler represents clients in commercial litigation, local government, land use and environmental litigation, administrative hearings and appeals. Mr. Sznapstajler is a Past President of the Florida Brownfields Association, which is a nonprofit, volunteer, service organization dedicated to advancing the cleanup and redevelopment of brownfields in Florida and frequently speaks before local governments, trade organizations, and environmental professionals regarding brownfield redevelopment. Mr. Sznapstajler is also active in the local community, having served as President of the Young Professionals Group and on the Ormond Beach Brownfield Advisory Board. Mr. Sznapstajler has also served on the Board of Directors of the Jewish Federation of Volusia and Flagler Counties, on the Jewish Heritage Festival Planning Committee, and the Checkered Flag Committee. Mr. Sznapstajler is married to Jessica Sznapstajler and has one daughter and one son. Mr. Sznapstajler holds an AV rating, which is the highest rating obtainable by an attorney from Martindale-Hubbell.